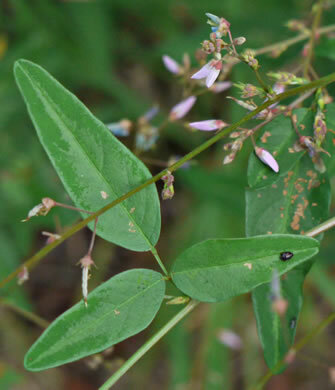 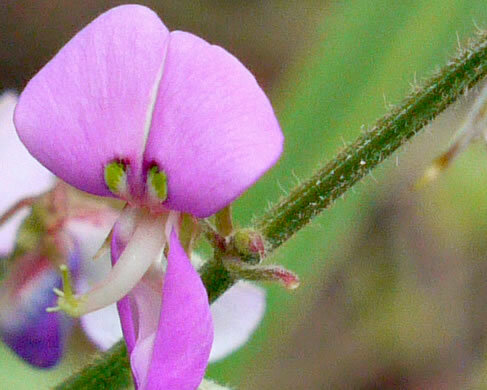 Your search found 57 image(s) of Beggar's Lice (Tick-trefoil) species. 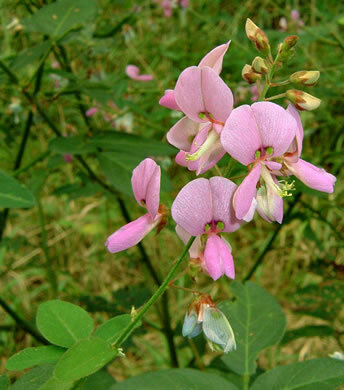 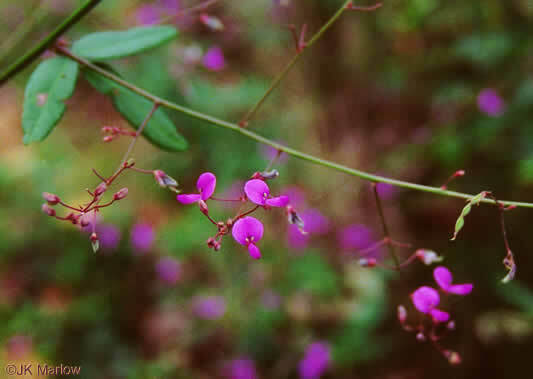 Rose-purple, pea-like flowers in a loose raceme on a leafless scape, per Wildflowers of Tennessee, the Ohio Valley, and the Southern Appalachians. 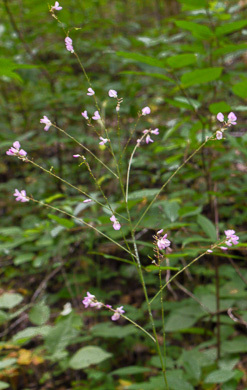 Stem forked at base: sterile branch to 12" tall and leafless scape to 40", per Wildflowers of Tennessee. 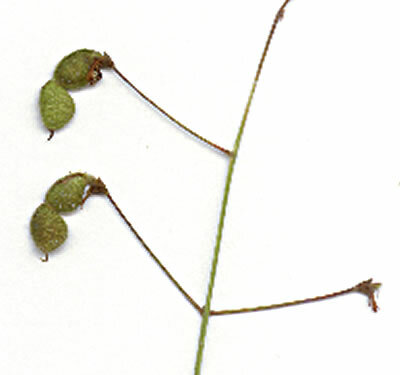 Pedicels 3.5-5.5mm. 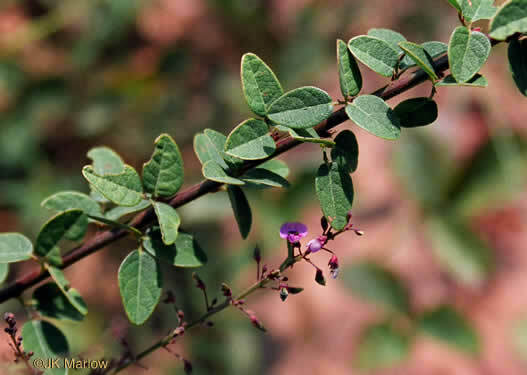 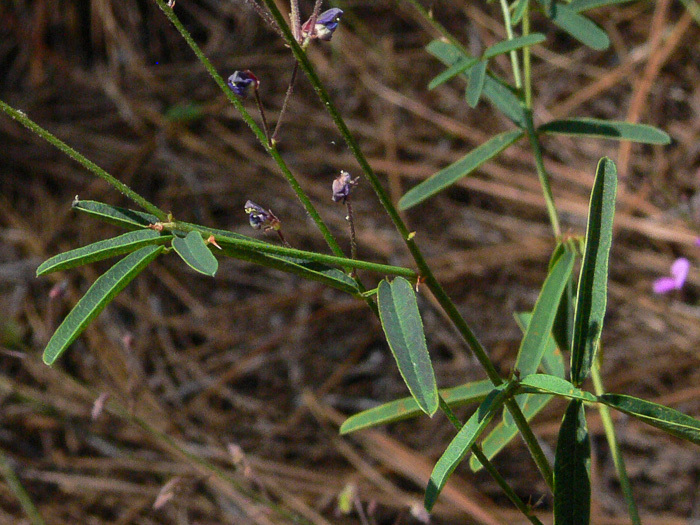 Corolla 5-7mm, per Native and Naturalized Leguminosae (Fabaceae) of the United States (Isely, 1998). 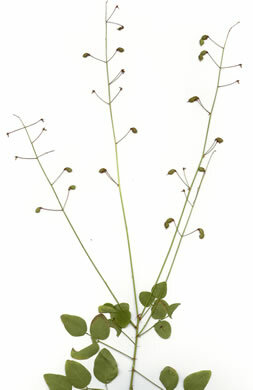 inflorescence 3-8dm long, elongate, conspicuous, much exceeding the leaves, per Weakley's Flora. 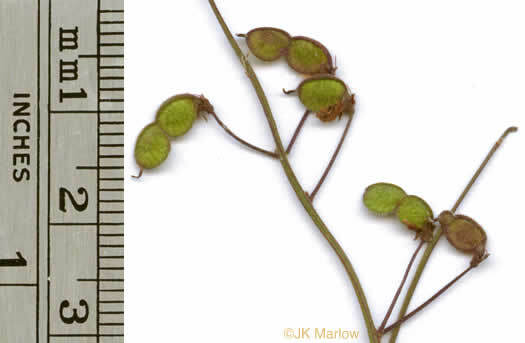 Fruits 7.5-9mm, generally concave above, assymmetrically rounded below, per Native and Naturalized Leguminosae (Fabaceae) of the United States (Isely, 1998). 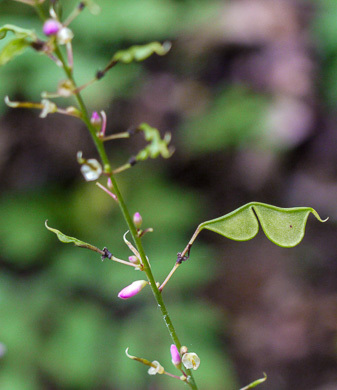 Calyx densely uncinulate-puberulent; petals white, 5-7mm long, per Vascular Flora of the Carolinas. 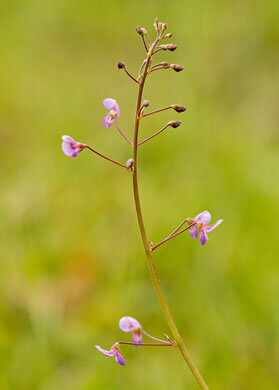 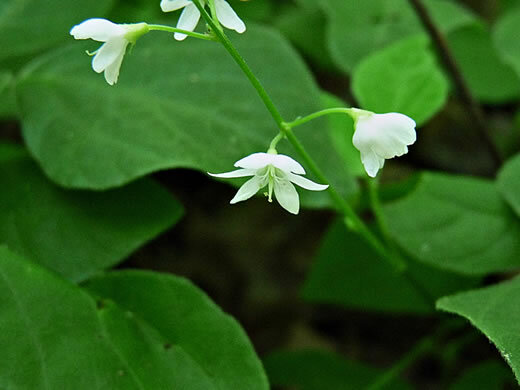 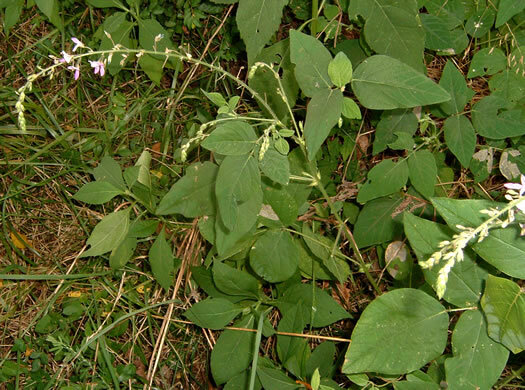 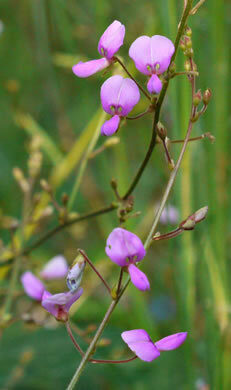 Erect, sparsely flowered racemes arise from the trailing stem, per Wildflowers of the Southern Mountains. 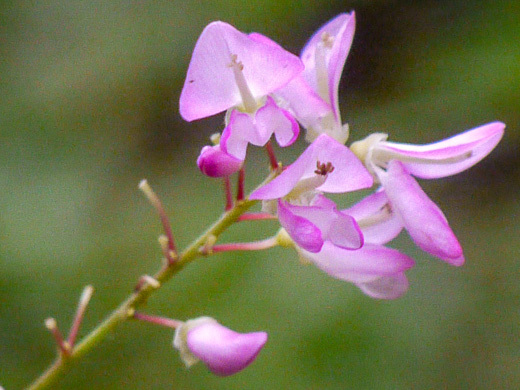 Corolla 8-13 mm long, per Weakley's Flora. 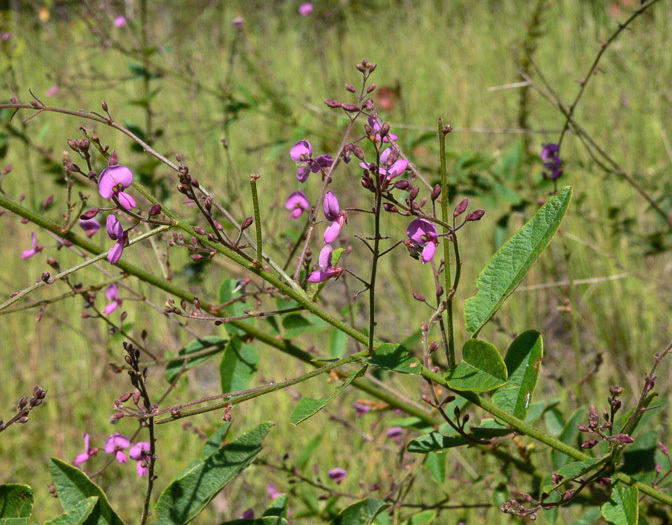 Infl. 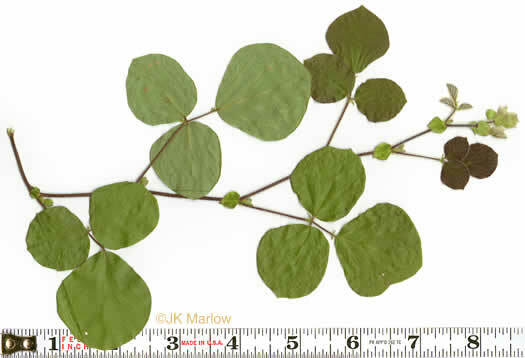 usually loosely paniculate. 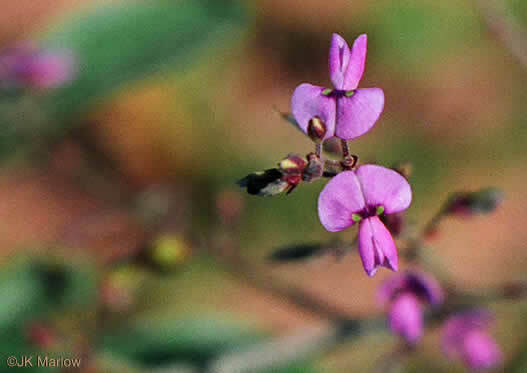 Pedicels 2-7mm long; petals 6-12mm long, per Vascular Flora of the Carolinas. 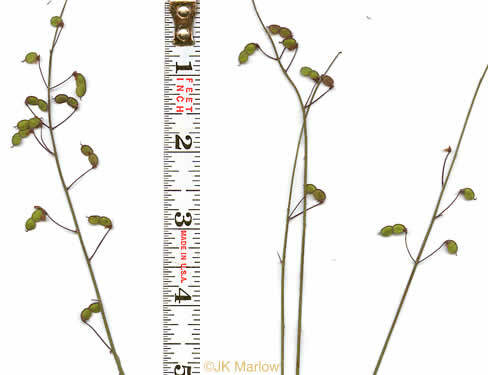 Stipules ovate to lance-attenuate, 1-2cm long, per Vascular Flora of the Carolinas. 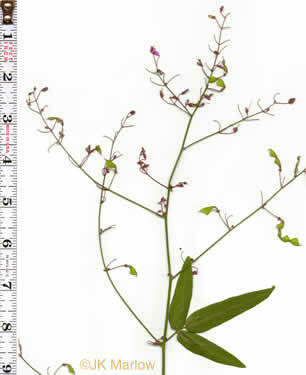 Inflorescence paniculate; pedicels 6-16mm long; petals 4-6mm long, per Vascular Flora of the Carolinas. 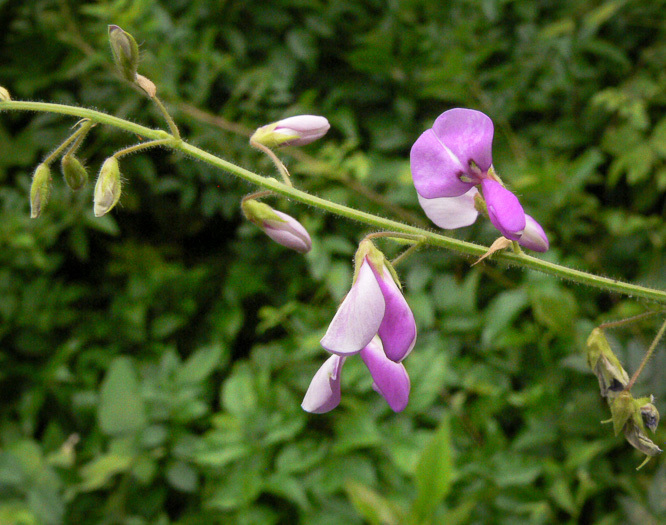 Inflorescence usually paniculate, pedicels 4-10mm long, petals 4-5mm long, per Vascular Flora of the Carolinas. 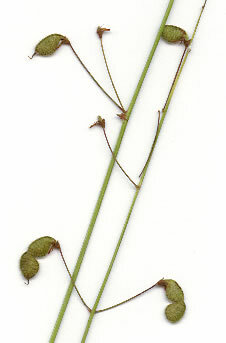 Inflorescence usually paniculate. 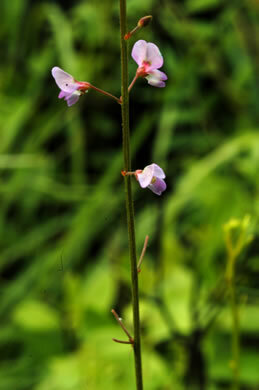 Pedicels (4)6-11mm long; petals 3-5mm long, per Vascular Flora of the Carolinas. 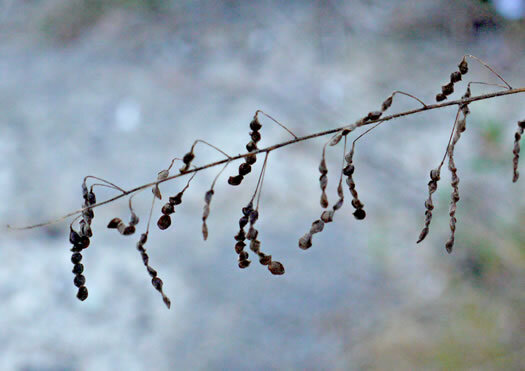 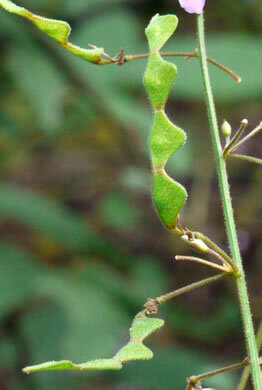 Terminal leaflets linear to narrowly oblong, often 6-10x long as wide, per Vascular Flora of the Carolinas. 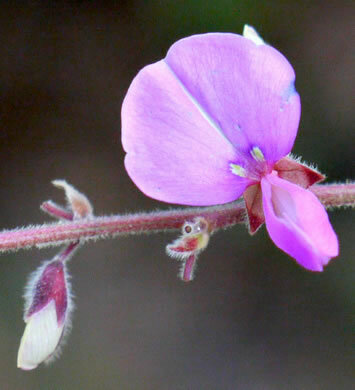 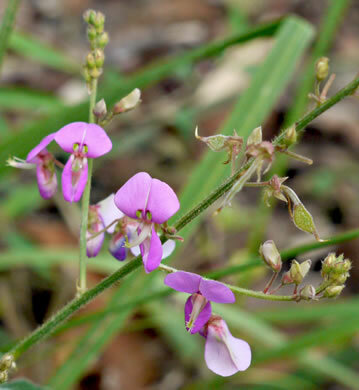 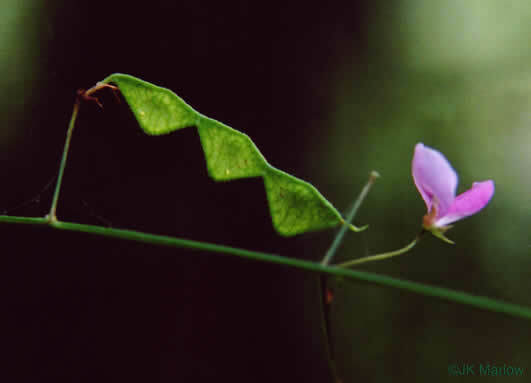 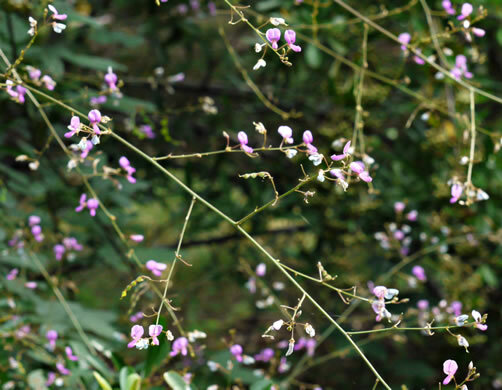 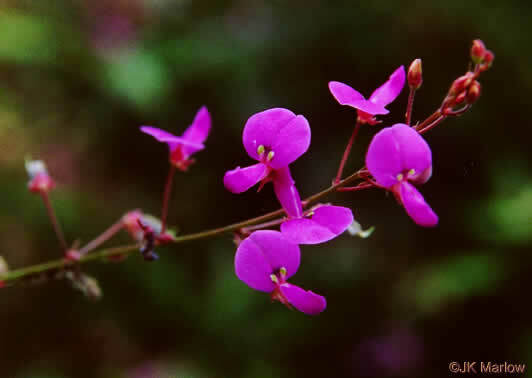 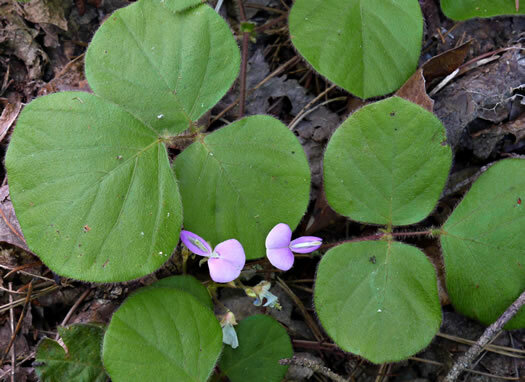 Petals pink to purplish, 3-5mm long, per Vascular Flora of the Carolinas. 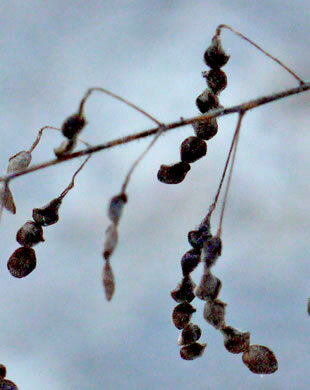 Inflorescence usually paniculate. 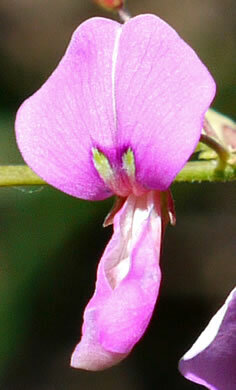 Pedicels 4-17mm long; petals ~ 4-6mm long, per Vascular Flora of the Carolinas. 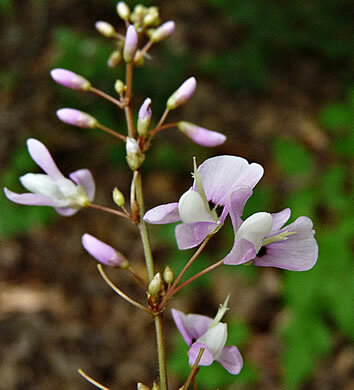 Many rose to purple flowers in panicles at the top of 2-4' tall plant, per Wildflowers of Tennessee, the Ohio Valley, and the Southern Appalachians. 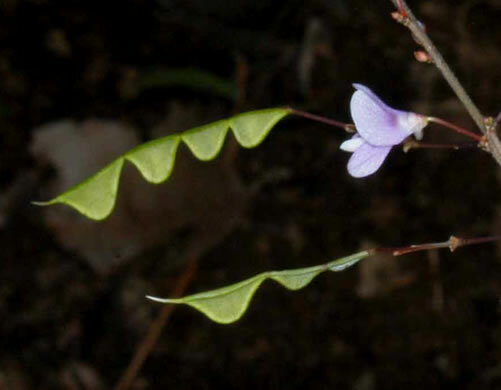 Petals 8-10mm long, per Vascular Flora of the Carolinas. 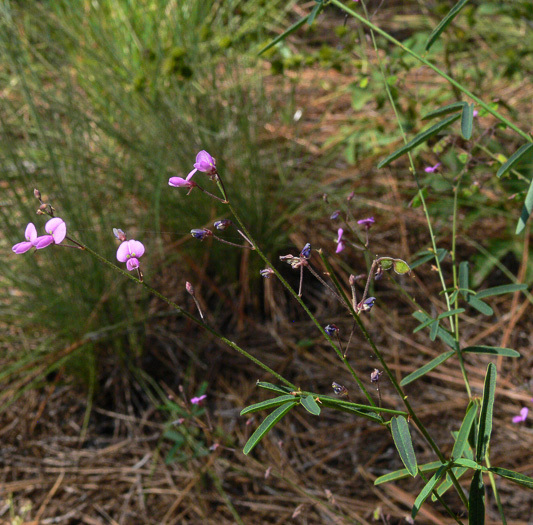 Stems sparsely to densely-puberulent as well as uncinate-pubescent, per Vascular Flora of the Carolinas. 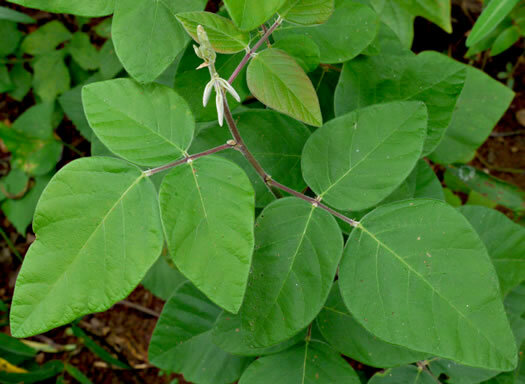 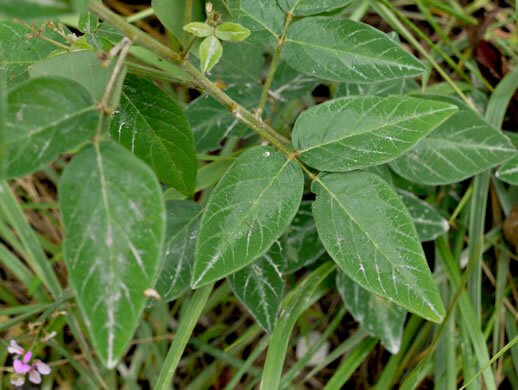 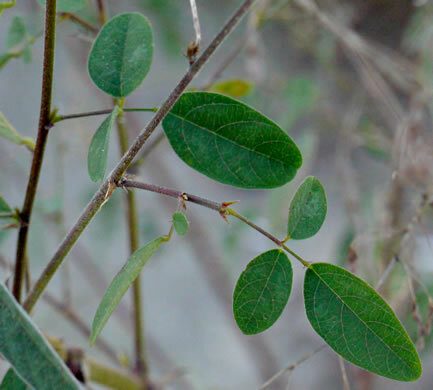 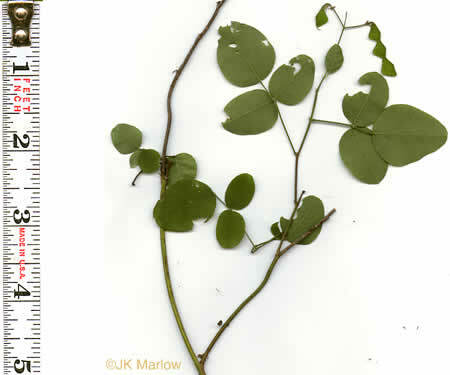 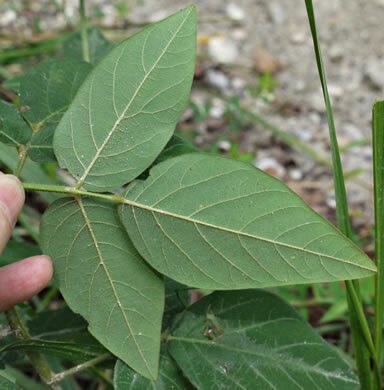 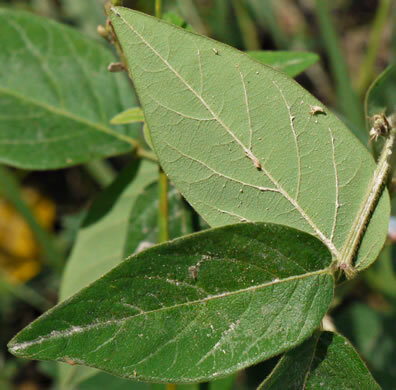 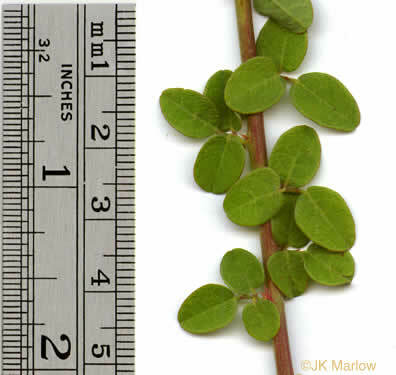 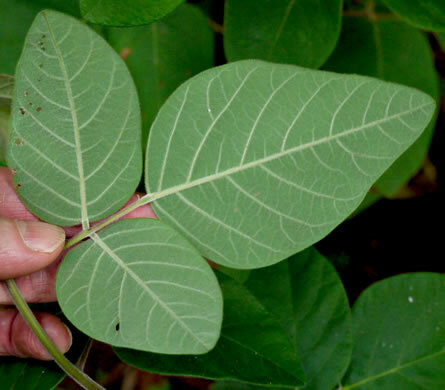 Leaves densely villous on the lower surface, per Weakley's Flora. 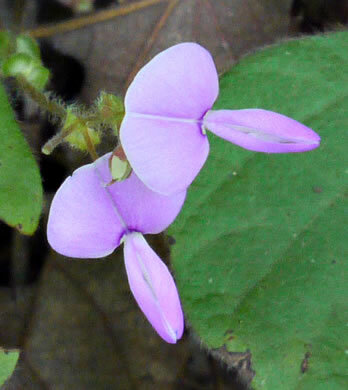 Petals 5-9mm long, per Vascular Flora of the Carolinas. 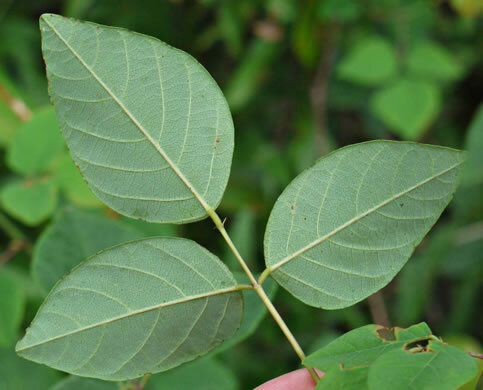 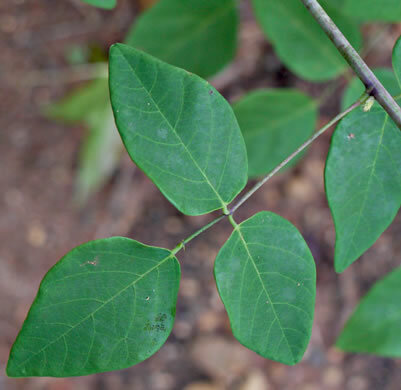 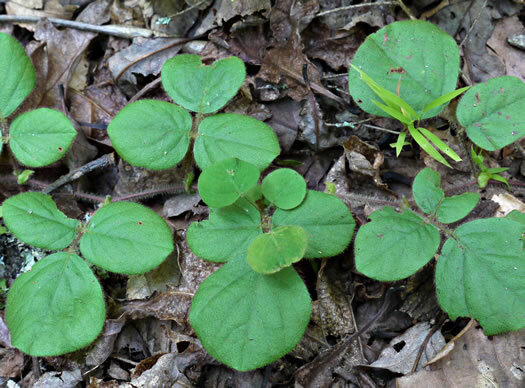 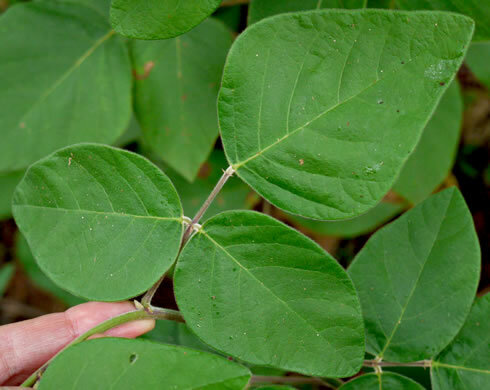 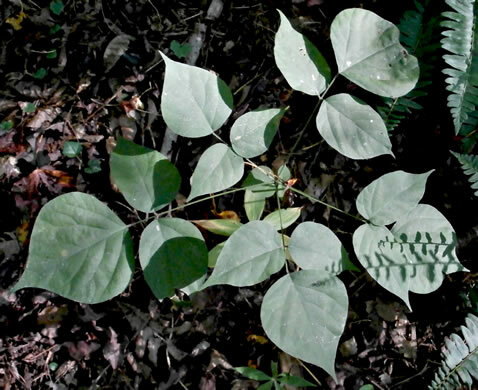 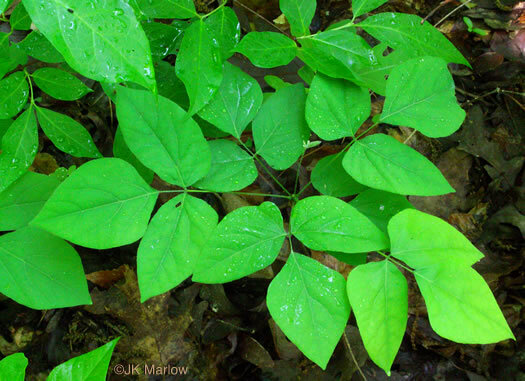 Leaves glabrate to moderately appressed-pilose above, per Vascular Flora of the Carolinas. 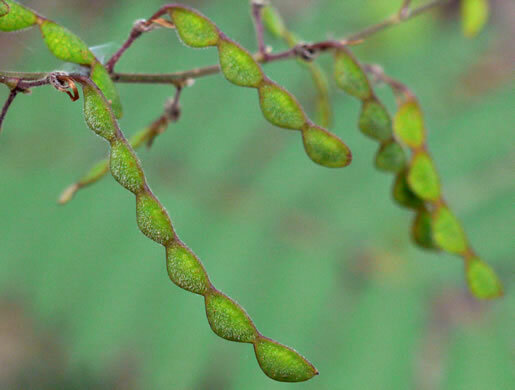 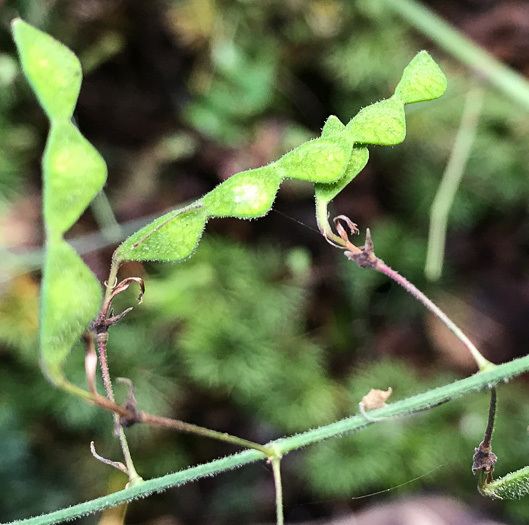 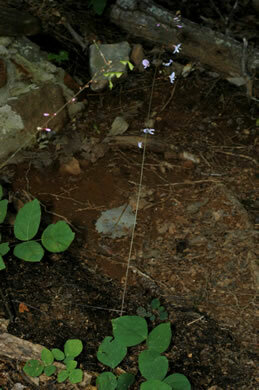 Loment more or less arching with 2-4 segments, rounded both above and below, per Vascular Flora of the Carolinas. 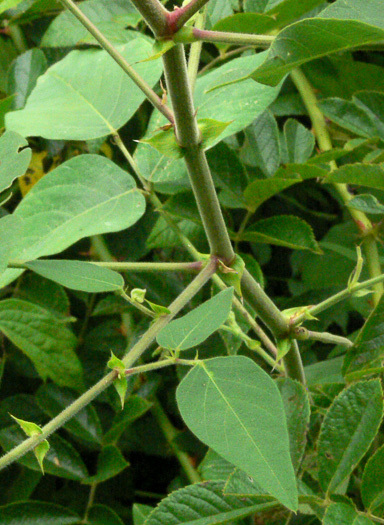 Bracts (subtending clusters of 2-3 flowers) usually villous, per Weakley's Flora. 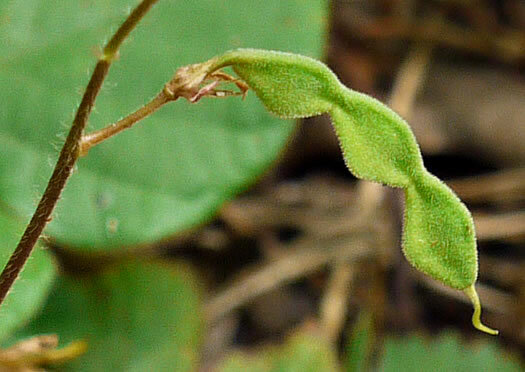 Leaflets cinereous, or villous, on the lower surface, per Weakley's Flora.